Seems you can’t go a single week anymore without a whole bunch of stand up paddle races somewhere in the world! So while the Gold medals were being won in Peru, there was still plenty of action right around the world this past weekend, including at one of the meccas of SUP racing: SoCal. 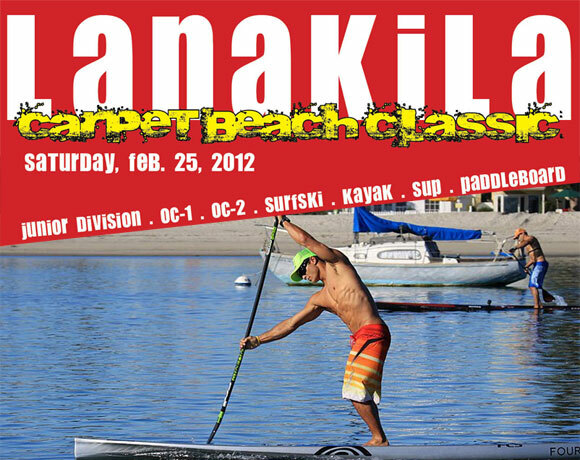 The 2012 Lanakila Carpet Beach Classic SUP race was held at Redondo Beach, California on Saturday 25th Feb. The area is home to many of the world’s fastest SUP racers, so while it might have been a “local” race it was still stacked full of talent. Local boy Danny Ching kept his 2012 winning streak in tact by taking out the Stock 12’6″ Division. Though it was Dialy Ndiaye who took line honours, seconds head of Mr. Unlimited himself, Thomas Maximus. Krisztina Zur put in a massive performance to take out the women’s race. The 4x World Kayak Champion finished ahead of both the 14′ and Unlimited female paddlers as well as 80% of the men’s Stock field. Click “M/F” to sort men’s and women’s results. Click “Class” to sort results by board class.